A business loan agreement is an agreement between a business and a lender. The loan is an amount of money in return for security and other promises by the borrower, including the promise to repay. A business loan agreement documents the promises of both parties—the promise by the lender to give money and the promises by the borrower to repay that money. This loan agreement is a business contract, so it has all the parts necessary for the contract to be valid, that is, for it to be enforceable in court, if necessary. Buying products or parts to build an inventory or sell. Can I Use a Business Loan Agreement Template? If you are getting a business loan from a bank or other lender, you will be required to use their documents and agreement forms. if you are doing a private loan with an individual, you may be tempted to use a template. But beware. In business loans, as in other business contracts, each situation is unique, and everything is negotiable. For example, your lender may want some specific covenants (guarantees) on the loan, or you may agree to a different way. 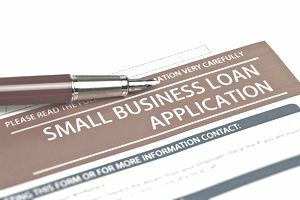 You might consider using a business loan template as a starting point, making changes as both parties agree to them. Effective Date. The date you sign the loan agreement is usually the effective date—the date the money is disbursed to you. Definitions. Business loan agreements, like other contracts, almost always include a list of definitions of key terms. These definitions may become important if there is a disagreement, so read carefully. Parties Described. The two parties to the loan agreement are described in the beginning. If there is a co-signer who is helping the business with down payment or collateral, this person is also described in this section. Promissory Note or Mortgage. The loan agreement may include a promissory note or a mortgage. A promissory note is basically a promise to pay; a mortgage is a specific kind of promissory note, on a property (land and building). The promissory note may be secured by some business asset or it may be unsecured. If the loan is secured, the security is described in detail. Collateral. The collateral on a loan is the property or other business asset used as security in case the borrower doesn't fulfill the loan. The collateral might be land and building (in the case of a mortgage), vehicles, or equipment. The collateral is described completely in the loan agreement. Penalties for Non-payment. The terms also include what happens if the payments aren't made on time. Each month, there is usually a grace period, which is a certain number of days after the due date when the loan can be paid without penalty. If the payment isn't made within the grace period, the agreement spells out penalties. Defaults and Acceleration Clause. Both parties have made promises, and if one party doesn't fulfill its promises, the agreement is in default. If the borrower defaults on the loan (doesn't meet the terms and conditions), the loan agreement spells out any fines and penalties. An acceleration clause may be used as a penalty. In this case, if the borrower does not fulfill all the requirements of the agreement or if the borrower doesn't make payments on time, the loan may become immediately due and payable. Governing Law. Business loans are subject to state laws, which differ from state to state. Your loan agreement should include a sentence about which state law governs. It's a good idea to have help in writing the business loan agreement from an attorney who is familiar with the laws of your state to make sure the agreement complies with state requirements. Representations of the Borrower. As the borrower, you will be asked to affirm that certain statements are true. These statements might include your assurance that the business is legally able to do business in the state, that the business has filed all its tax returns and paid all its taxes, that there are no liens or lawsuits against the business that could affect its ability to pay back the loan, and that the financial statements of the business are true and accurate. These are just some common representations; there may be others for your loan. A representative of your board of directors may be required to sign this loan. You will need to have proof of insurance on whatever security you are pledging (a building or equipment or vehicles). The lender wants to be sure that if something happens to the asset, the insurance will pay at least part of the cost. Many business loans require that you buy life insurance on the life of the owner (called key person life insurance) with the lender as beneficiary. The lender wants to be sure that ​it can have some money in case something happens to the owner. Another requirement is that you pay all taxes and fees associated with the asset so it doesn't fall behind. That might include property taxes and licenses on vehicles. Some lenders require that you guarantee that the business will not take on additional debt or that your management will not change. For larger loans, and particularly for startups, many lenders require periodic financial statements showing that the business will continue to be able to pay back the loan. Even though you think you know what's in the loan agreement, take the time to read it carefully to make sure you understand everything and that everything is as you agreed. Watch out for the fine print! Disclaimer. This article gives you some general parts of a business loan agreement so you can see what might be required. It is not intended to be tax or legal advice. Other sections may be included in your loan agreement, and you should get the help of an attorney if you want to write your own loan agreement.